Crowds are a sure sign of summer, just like ice cream and sunshine. But if you’re stuck in a line all day, your sundae is going to melt, and your SPF is going to run out. Don’t spend your next vacation standing in line! We’ve got awesome alternatives to some of the most popular summer destinations, so you and your family can ditch the wait and have the best trip ever! Millions of families will make the summer trek to the amusement parks in south Florida. (In fact, Orlando had 68 million visitors in 2016.) Instead, you’re taking the kids north. Upstate New York is home to state parks, historic cities, and unique museums. The city of Rochester is a great starting point, and it was named the 12th most affordable airport in the U.S. The Grand Canyon is awe-inspiring and definitely worthy of multiple visits. But the crowds that gather there in the summer can really steal from the experience. So try to get your Mother Nature fix in a place like Gatlinburg, TN. The small town is a major tourist destination in the summer, but it offers multiple points of entry to Great Smoky Mountains National Park, America’s most-visited national park. Even though it’s a popular place, there’s a lot of it to explore! You and your family can escape some of the crowds and find a slice of nature to enjoy in peace. Save the heat and beaches of Mexico for your winter getaway. When summer rolls around, try heading north to more moderate temperatures (and fewer crowds) in Canada! 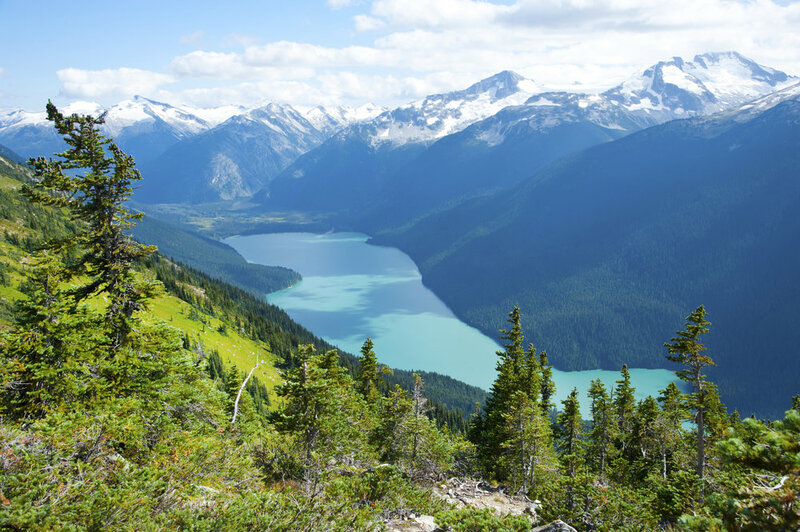 Whistler, BC, is famous for its world-class skiing, but there’s still plenty of family fun to be had in the summer months. Hiking trails, bear tours (safer than they sound), trampoline parks, lakeside beaches, and more. There’s something for everyone in the family! Pittsburgh might not come to mind as a vacation getaway, but it’s home to a great food scene and unique art attractions, and your dollars are going to go a lot further here than they would in New York City. It’s probably best if you have older kids so you can enjoy all the rooftop bars and beer gardens the city has to offer in the summer months. Tourism is huge in southern California, and that’s great for their economy. But it’s not great for your patience or your wallet. Another option is Omaha, Nebraska. While you’re giving up the proximity to the beach that you’d get in California, you’re also losing the crowds and gaining some awesome attractions. Omaha has a world-renowned zoo that rivals the famous one in San Diego. There are also loads of state parks, museums, and art galleries—something for every member of the family.